Dr. Chelsea Stahl grew up right here in Fair Lawn with her parents and 4 siblings. After attending Fair Lawn High School, she went on to study at Rutgers University in New Brunswick where she majored in Spanish Language studies. She then attended Rutgers School of Dental Medicine in Newark, New Jersey where she was inducted into the Gamma Pi Delta Prosthodontics Honor Society. 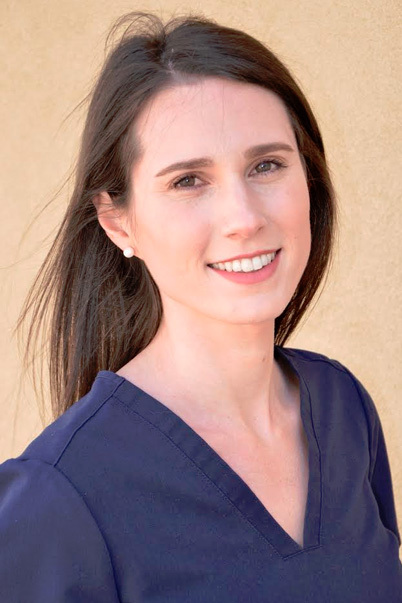 In the summer of her third year, Dr. Stahl volunteered her time in Colorodo in a Native American dental clinic on the Navajo Reservation providing free dental treatment. Following dental school she went on to train further, completing a General Practice Residency at Newark Beth Israel Medical Center. In her spare time, Dr. Stahl enjoys playing volleyball and spending time with her husband and daughter, Maya.